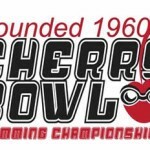 On July 26, Woodcrest Swim Club will host the 55th annual Cherry Bowl Swim Championships. Cherry Bowl is an event bringing together swimmers from 13 swim clubs throughout Cherry Hill. This year, approximately 2,000 parents, spectators, coaches, volunteers and vendors to pass through our gates. For additional details, log on to www.cherrybowl2014.com.